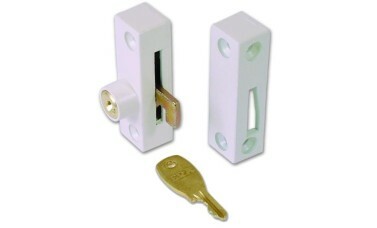 Hardened steel bolt is deadlocked into matching finish box keep, locked and unlocked by use of the key. The Era 902 Flush Pivot Lock is an incredibly versatile window lock. This model can be fitted to most wooden windows, including casement (side hung), pivot, top hung, and flush sash windows. Each lock is supplied with a flush fitting box keep in matching finish, key and fixing screws. CAUTION: It is important to make sure that the opening leaf of the window is flush with the fixed frame to allow the lock and the keep to interlock. If your opening frame and fixed frame ARE NOT flush fitting you may still be able to use this lock but will need to cut a slot into the fixed frame for the bolt. The strike box would not be required in this situation. 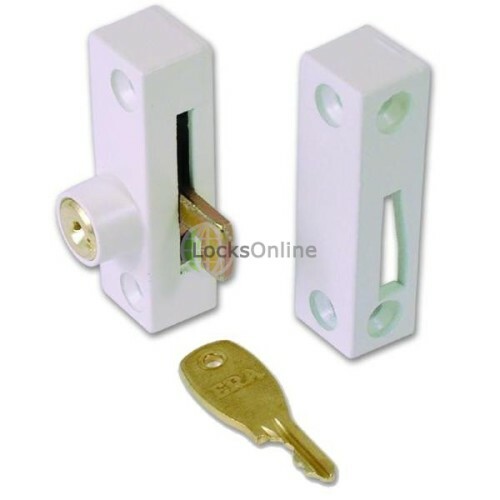 If fitting in the standard flush fitting method, this lock can either be mounted with the lock body on either the fixed or opening frame, traditionally the lock body would be attached to the fixed frame, however. 1.) Place the boxed keep vertically on the opening frame of the window and mark the screw holes with a pencil. 2.) Use a 3.5mm drill bit to drill two 4mm deep holes on the areas you have just marked. LocksOnline Top Tip: Wrap a piece of tape around the drill bit 4mm from the tip, this will help you see when you have reached your desired depth. 3.) Screw the boxed keep into the opening frame of the window. 4.) Place the lock body onto the fixed frame of the window, while holding the lock in-place with your hand, turn the key to engage the bolt, make sure that the bolt engages with the boxed keep before marking the screw holes. 5.) Use a 3.5mm drill bit to drill two 10mm holes on the areas you have just marked. 6.) Lightly fix the lock to the fixed frame and ensure that the lock operates as it should, it should lock and unlock smoothly. 7.) Tighten the screws onj both the boxed keep and lock body and insert the white cover caps over the screw holes to complete the job. Hi guys. My name is Darrel and I'm head of the tech team here at LocksOnline.co.uk. Thanks for taking some time to tune in and have a look at one of our products. The product that we have here at this moment in time is the Era Flush Pivot Lock that is manufactured by Era. Here is a nice pretty picture of it sitting in there. But what's more important is the nice pretty one that we've got sitting here on our display. Now this particular pivot lock works, it's quite simple in its operation. You basically got two pieces of metal and that folds down into between the two If I just press that like that, that folds down and it basically hugs two pieces of metal together. But because it's got a hook on it, it also not only works if I try to open the window like that, then its going to stop that from happening, but because it's got the hook on it as well, it also stops it from coming apart like that. So it has a load of choices. If you fit it on the window like that, then the window opens out like that, then this would work. If you fit it on the side like that and the window was opening inward or outwards etcetera, then again it would work. If you've got yourself a set of sash windows where they slide up and down, then you can fit this between the two sashes. That would fit in there like that and because that bar is across, you wouldn't be able to lift the sash. So it's got a load of different uses and can be fitted in a myriad of different types of applications on virtually any type of window to be honest with you. Now, it has two different types of fixings. You can either fix in through the surface there, so if that was wanted to be fit there, or you can fit through the top there, it is entirely up to you on the fixings on the keep. The fixings on the actual locking part here is only through the top there as you can see there. Now, it comes with, what we call industry, prism screws. And the idea for these particular types of screws, I don't know if you can zoom in close enough, it's pretty small. But the idea is that you can screw it in but the way that the angle is that it's incredibly difficult to screw them out. So you make sure that you get your measurements right and drill yourself your pilot holes etcetera and maybe use ordinary screws before you actually finally drive these home because once you've fitted these, you're going to be there for hours and hours and hours trying to get these out without destroying your windows. So, a little bit of a top tip there, is it measured once and cut twice so to speak. Now we can also get these in the keyed alike groups. So if you've got a row of windows etcetera and you want them all to be on the same key, by all means, use that as a choice option on our website or, if you want to, pick up the phone and we can take your order directly over the phone, no problem at all. So, that's for your information there. Now what I'll do, is I'll give you a couple of measurements here now quickly just to give you guys an idea if you're thinking, "This really is going to suit me but if it will it actually fit on my window," lets get some measurement so you got some sort of idea. The width across there is 18mm, the height there is 15mm and the length there is 64mm. The keep is virtually the same if I'm going to be honest with you. It's probably moulded out of the same piece. But just to make sure, yep, that's bang on the same and yep, that's exactly the same as well. So those particular measurements are exactly the same. I'll just give you some idea on the projection on this as well. The projection of that lock there is 15 by 14mm and the distance in between that hole there, just for your information from the face plate there, is 6mm. So there is a little bit of play there if you wanted to, you can put a little bit of play there as you can see. So there you go guys, that's the flush pivot lock. It's manufactured by Era. 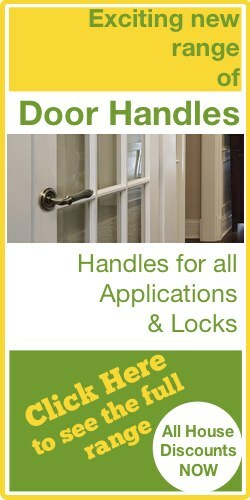 It's available on LocksOnline's website. If you need a bit more information or you wanted a bit more advice on this particular lock or any type of window lock for that matter, pop onto the phone, give us a call, use email, use online chat. It's totally free during the working day. We'd love to hear from you.